EIT Digital has named Blitab Technology as the best European technology scaleup in the field of Digital Wellbeing. The company from Austria has developed the world’s first tablet device that creates tactile Braille and graphics in real-time. Second prize went to FibriCheck from Belgium whose App detects cardiovascular arrhythmia's. Amiko from the UK came third. The scaleup Blitab Technology has been awarded first place in the Digital Wellbeing category of the EIT Digital Challenge. The competition was held during the EIT Digital Innovation Day at the High Tech Campus in Eindhoven, the Netherlands. In total, 234 teams from all across Europe had applied in five categories for the EIT Digital Challenge. Nine scaleups were selected to compete in the category Digital Wellbeing for access to support for international growth. Blitab Technology thrilled not just the jury but also succeeded in the audience voting with their presentation of the world’s first Braille tablet that aims to improve the social wellbeing and digital inclusion of blind and visually impaired people. The device creates tactile Braille and graphics in real-time by using small physical bubbles instead of a screen display. The company will receive access to EIT Digital’s pan-European innovation network and the chance to benefit from the business growth support provided by the EIT Digital Accelerator and additionally €50,000 in cash. Second place went to FibriCheck from Belgium whose application detects cardiovascular arrhythmia's via a smartphone app. Patients only have to place their finger for 60 seconds on the camera of their smartphone to detect the pulse waveform. The UK-based company Amiko was awarded third prize. Amiko develops digital care solutions for patients with chronic respiratory conditions. The device-plus-platform solution combines sensor technology with smart monitoring for personalized medication management. The three awarded teams have been invited to an exclusive two-day event, held by the EIT Digital Accelerator in Berlin in December. Here, Blitab Technology, FibriCheck and Amiko will have the chance to meet the winners from the other categories, connect with EIT Digitals’ unrivalled ecosystem during a networking evening and discuss their growth strategies with international EIT Digital experts during workshops. BLITAB® (Austria) is the world’s first Braille tablet device that creates tactile Braille and graphics for blind and visually impaired people in real-time by using small physical bubbles instead of a screen display, thereby improving the social wellbeing and digital inclusion. 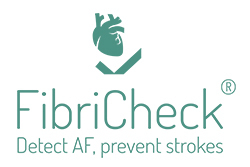 FibriCheck (Belgium) provides an application that detects cardiovascular arrhythmia's via a smartphone app. Patients only have to place their finger for 60 seconds on the camera of their smartphone to detect the pulse waveform. Amiko (UK) develops digital care solutions for patients with chronic respiratory conditions. The device-plus-platform solution combines sensor technology with smart monitoring for personalized medication management.